Meijer – International Delight Mini I.D.’s Coffee Creamer $1.24 per box! 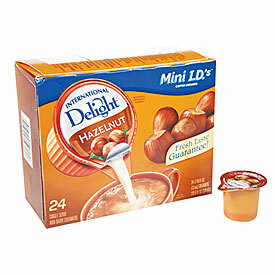 You can get a box of International Delight Mini I.D.’s coffee creamer 24 count for just $1.24 for the box! Pay $1.49, submit your receipt at Checkout51 for 25-cents back on this deal! Final cost: $1.24! Just 5-cents per creamer! ← Save $1.00 on Apple & Eve Juice!